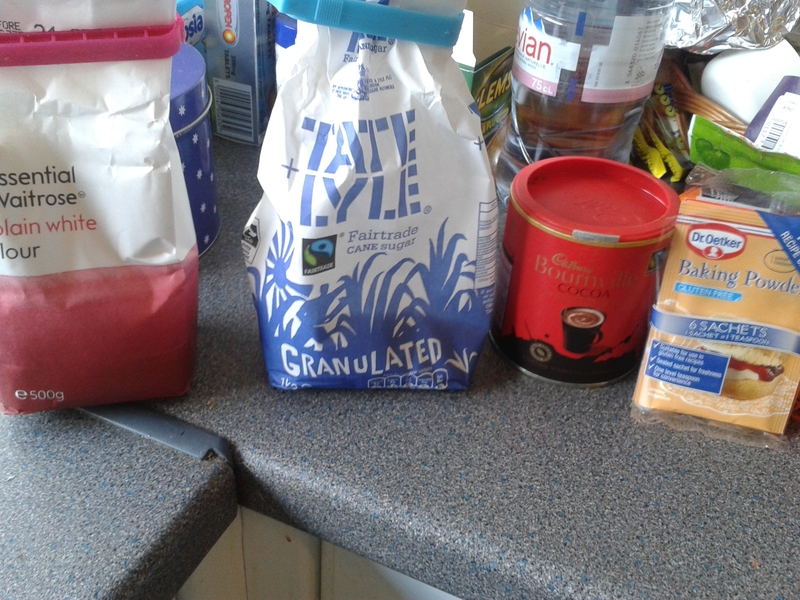 To celebrate my 25th, I’ve decided to make a chocolate cake. Now I have this awesome recipe for chocolate fondant cake which I’ll share with you another day, but this time I wanted something that I could more easily distribute between friends, and take leftovers to work. 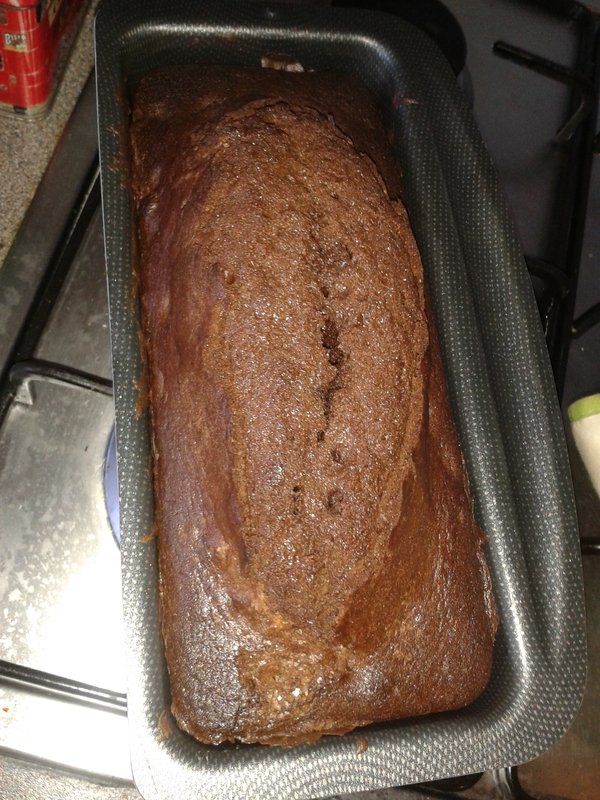 I’ve done this type of cake before using shop-bought preparations, but this time it’s a first doing it from scratch. Start by preheating the oven at 200°C. Warm the butter in the microwave, but do not let it melt. Mix the butter and the sugar, stirring to create a fluffy texture. 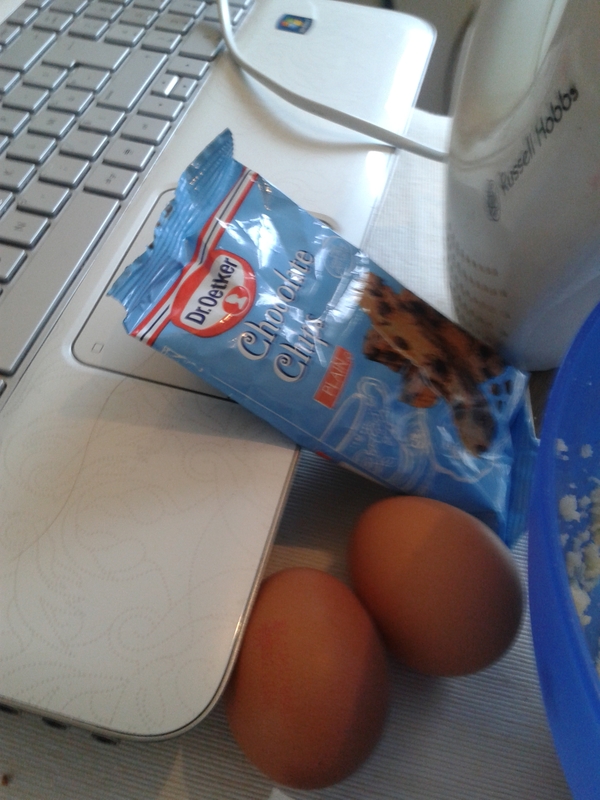 Add the eggs one by one while you keep mixing. Don’t stop for at least 5min. 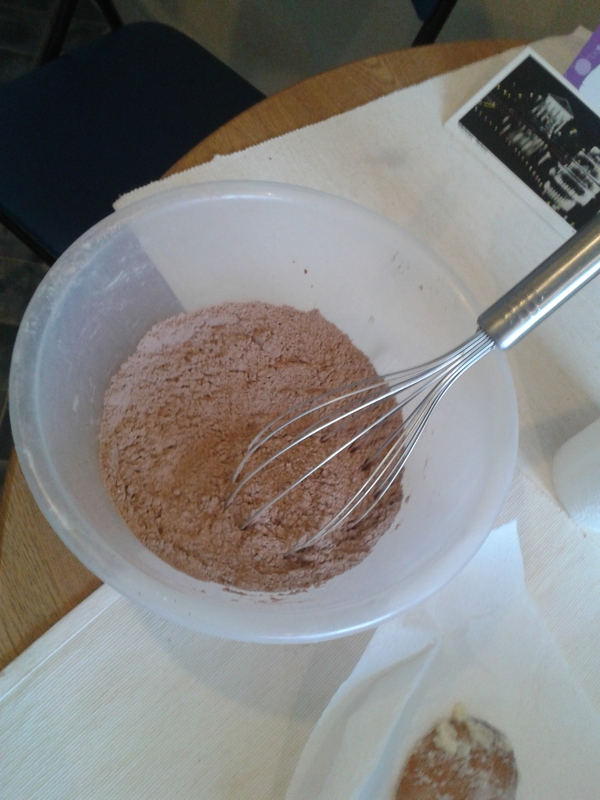 Mix the flour, cocoa powder and baking powder together using a sieve or whisk. 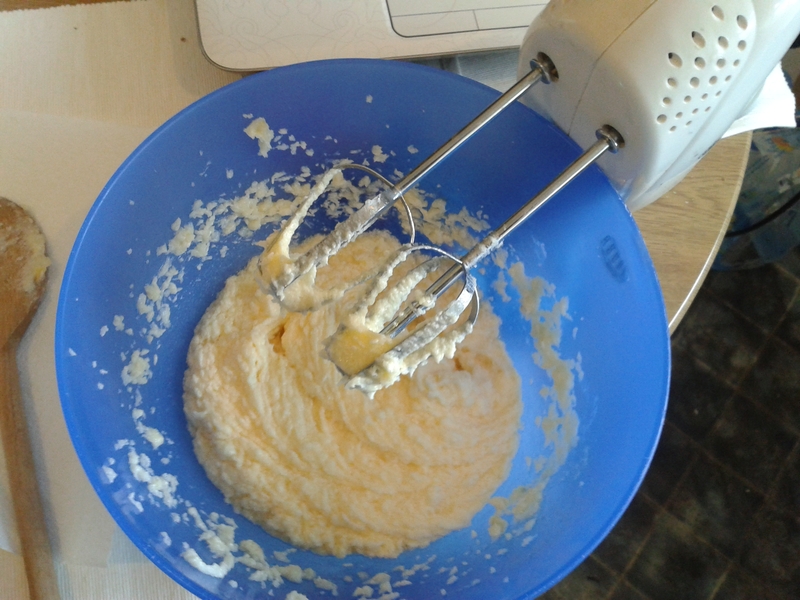 Lift the butter/sugar mixture and slowly, bit by bit, add the other ingredients. Stir well until it’s all a smooth texture. 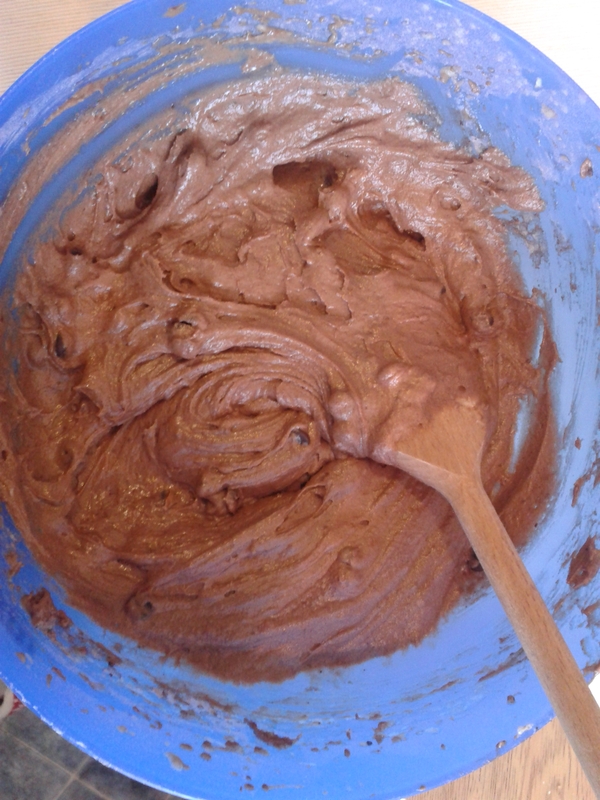 Butter the tin (add a little flour if you know cake has a tendency to get stuck in it), then pour the mixture in. Put it in the centre of the oven. Keep it at 200°C for 10-15min befpore turning it down to 150°C for the remaining 30-40min. Towards the end, check with a knife to see whether it’s cooked or not. As long as chocolate keeps clinging to the blade, keep in the oven. 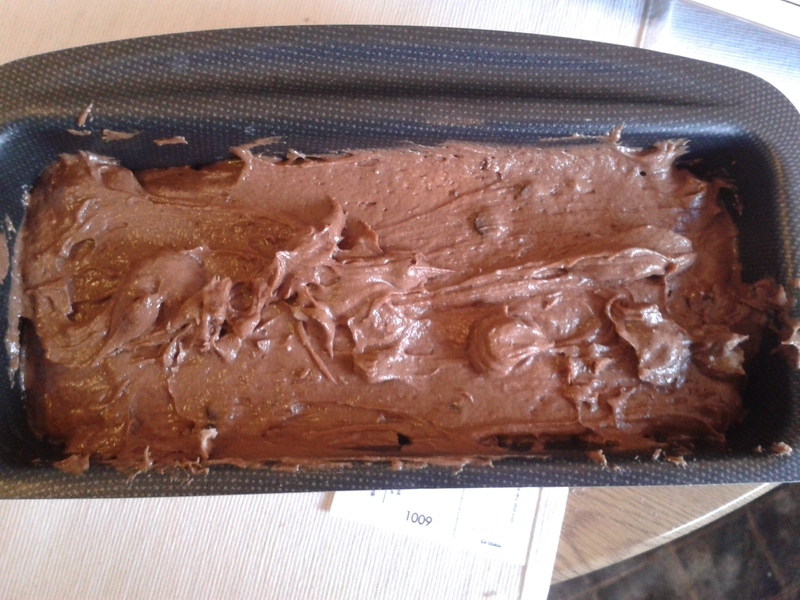 When done, remove the cake tin and let it cool on the side. Turn over and slide out the cake when it’s cold. Tags: butter, cake, chocolate, cocoa, eggs, flour, recipe, sugar, tin. Bookmark the permalink. 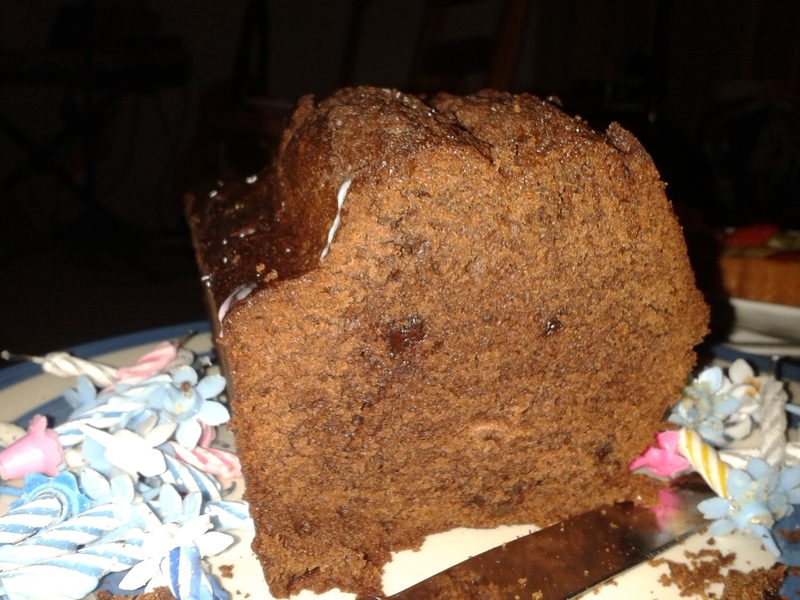 Mmm it looks lovely, and so moist!